Accelerated Learning Lab (ALL) combines unique instructional design, individualized, prescriptive assessment systems, and easy-to-use student management tools to provide a powerful basic skills system that ensures consistent student success. This program is designed specifically for struggling adult and older youth learners in basic education or high school equivalency, beginning at the 5th grade reading level. The ALL curriculum includes over 300 tutorial lessons across all core subject areas that can be mixed and matched as needed for each student. A self-paced, personalized learning path through Accelerated Learning Lab helps students to see and feel learning success in many small, achievable steps. Lessons presented in the appropriate context for the target learner, based on real-life situations. Lessons built from the ground up, never assuming a student knows more than previously demonstrated skills. Over 300 self-paced tutorials, representing over 500 hours of self-instruction and over 10,000 test items. Mathematics, Science, and Social Studies. “Passages” has been revised and added back to the Pace Reading System! How does it work? 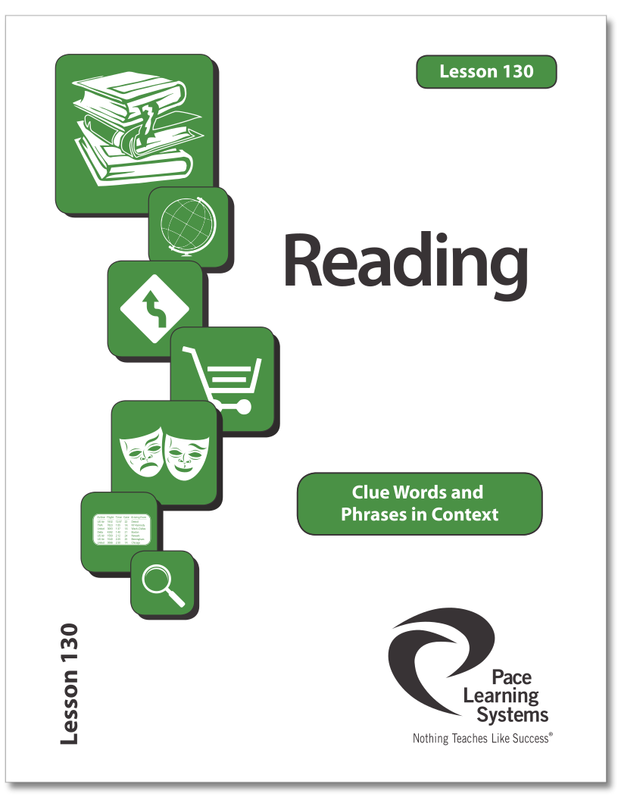 Read an excerpt from the newly-revised Reading Instructor’s Guide to learn how Passages works to evaluate key comprehension skills at all ranges of text complexity (5.0-12.5 Reading Grade Level). Accelerated Learning Lab consists of over 500 hours of self-paced,”programmed” instructional lessons across 8 self-contained subject areas in English Language Arts, Mathematics, Science, and Social Studies. Instruction guides students through the process and steadily moves them in the right direction. Small conceptual steps and immediate, consistent feedback within the lesson ensure steady progress. Objectives are presented in the appropriate context for the target learner, based on real-life and employment-oriented situations. ALL incorporates criterion-referenced, prescriptive Pretest and Posttest by subject area and standard. This in-depth diagnostic test indicates the specific skill competencies and deficits of each student, which are then used to compile individualized Study Schedules that can be easily adjusted, work well when complemented with alternative instructional materials, and allow for maximum flexibility. Each lesson objective is connected to 30 additional test items, which reference lesson sub-skills and ranges of “instructional frames.” One 10-item Practice Test and two forms (A/B) of reproducible Mastery Test are included with each lesson. Curricular objectives are closely correlated with all major tests and standards including GED 2014, HiSET, CCRS, TABE 9&10, and Wonderlic GAIN assessments.